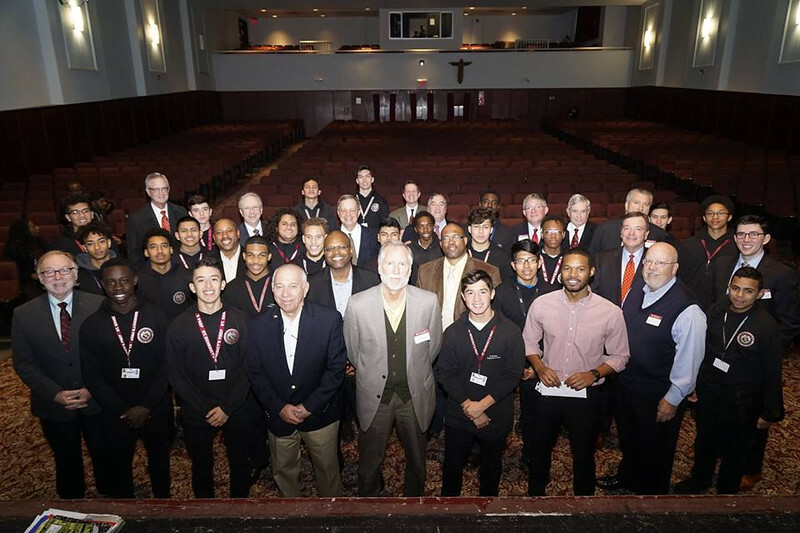 St. Benedict's held its Fifth Annual Donor Appreciation Day on Tuesday (Nov. 29, 2016). Nearly 20 alumni gathered at The Hive to participate in the event aimed at conveying the message to today’s students about "Giving Back." The Alumni began the day with breakfast before heading to Convo in Conlin Auditorium where the current Gray Bees were told what the day is about and were introduced to each of the guests. Each of the Alums then went to various Group rooms to share their Benedict's experience with the students and to help them understand and teach them why it is important to "Give Back." During the presentations, Senior Group Leader Dalyn Woody kicked off the Annual Student Fundraising Drive by announcing that the Senior class agreed to have all contributions from this year's campaign donated to the Fr. Boniface Treanor '47 and Fr. Mark Payne '69 scholarship funds.